QuickBooks Online Plus makes it easy to manage accounts payable, including tracking and paying bills. You can organise, access and track your accounts payable data and reports anytime from your computer or mobile device in one place. Accounts payable is the money that a business owes, such as unpaid bills and invoices for office supplies, computer equipment and advertising expenses, and appears on the balance sheet as a liability. To effectively manage cash flow and to stay healthy financially, business owners must know how much money is coming into the business - accounts receivable - and going out or accounts payable. Accounts payable are typically expected to be paid within 15, 30 or 90 days. This makes it crucial to track and manage accounts payable. QuickBooks is accounting software that organises your financial data in one place. If you would like to enter bills and pay bills from one central location, then QuickBooks Online Plus is the right version for you. With QuickBooks Online Plus you can enter and pay bills, manage bill due dates and schedule payments to keep money in your business as long as possible and avoid late charges. QuickBooks Online Plus contains all features included in other QuickBooks versions, plus additional ones that make managing accounts payable easy. It organises accounts payable data for you so that you will always know how much you owe vendors and when your bills are due. Once you pay a bill, it is automatically entered into the register for you. All of your accounts payable data is available anytime and from anywhere with QuickBooks Online Plus. QuickBooks Online Plus lets you track and manage outstanding bills and either pay bills when they are due or ahead of due date to take advantage of early payment discounts. Easily print reports such as the Unpaid Vendors Report, the A/P Aging Report and the Vendor Detail Report so that you can efficiently manage accounts payable. 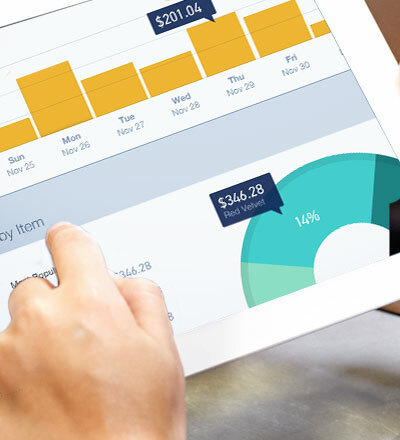 Try QuickBooks Online Plus for free today and see why it makes managing accounts payable easy.